There’s been tons of stuff the awful amnesty bill (did they really think people would like it?!) so I haven’t bothered to write on it. The most disgusting thing is that it has gotten this far. Both parties make me sick on this one. The Democrats want the voting block and the Republicans want the cheap labor. Neither seems to be able to think 90 minutes into the future. It is truly sad when Radical Islam has a greater grasp on the concept of deferred gratification than we do. Just Say NO! Kill The Shamnesty Bill! Saul becomes king even though he had no such expectations. As we will see later, Saul had some serious character flaws. He would do good for a time, then would get proud and paranoid. Though the donkeys were lost – a serious problem given their value – God used that to bring about something good. As believers we can always trust that God is in control and can make the best of any situation. 9 There was a Benjamite, a man of standing, whose name was Kish son of Abiel, the son of Zeror, the son of Becorath, the son of Aphiah of Benjamin. 2 He had a son named Saul, an impressive young man without equal among the Israelites—a head taller than any of the others. 24 So the cook took up the leg with what was on it and set it in front of Saul. Samuel said, “Here is what has been kept for you. Eat, because it was set aside for you for this occasion, from the time I said, ‘I have invited guests.’” And Saul dined with Samuel that day. 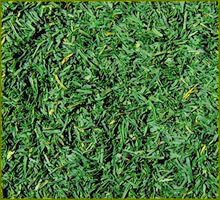 3 “Then you will go on from there until you reach the great tree of Tabor. Three men going up to God at Bethel will meet you there. One will be carrying three young goats, another three loaves of bread, and another a skin of wine. 4 They will greet you and offer you two loaves of bread, which you will accept from them. 5 “After that you will go to Gibeah of God, where there is a Philistine outpost. As you approach the town, you will meet a procession of prophets coming down from the high place with lyres, tambourines, flutes and harps being played before them, and they will be prophesying. 6 The Spirit of the Lord will come upon you in power, and you will prophesy with them; and you will be changed into a different person. 7 Once these signs are fulfilled, do whatever your hand finds to do, for God is with you. 25 Samuel explained to the people the regulations of the kingship. He wrote them down on a scroll and deposited it before the Lord. Then Samuel dismissed the people, each to his own home. 26 Saul also went to his home in Gibeah, accompanied by valiant men whose hearts God had touched. 27 But some troublemakers said, “How can this fellow save us?” They despised him and brought him no gifts. But Saul kept silent. What passages stood out to you? What would you apply to your life? Cue the Fiddler on the Roof soundtrack . 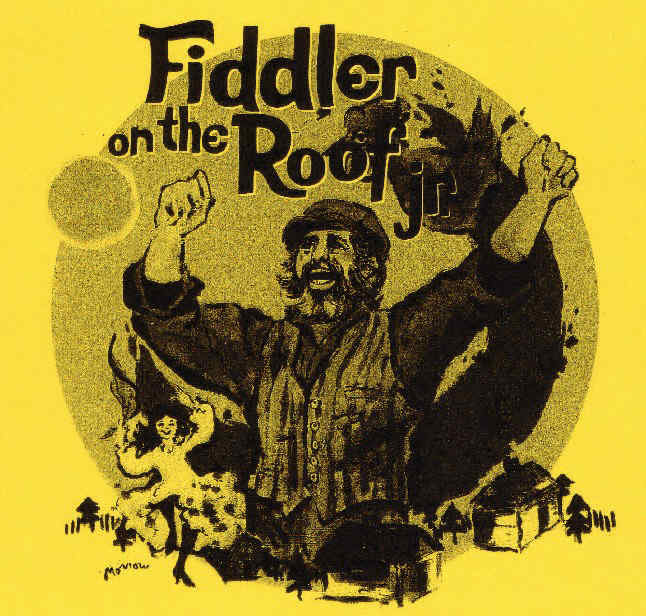 . .
As Tevye discovered in the classic musical, there are traditions worth keeping and those not worth keeping. Christian denominations have many traditions. Which ones should be adhered to, and how much weight should be put on them? I say, when in doubt see how they line up the Bible. Traditions that don’t contradict scripture may be benign or even instructive. Or they may be outdated and/or counterproductive and need to be changed or eliminated. Traditions that contradict scripture should be eliminated. This is an important point, because some churches use tradition as some sort of trump card or they put it on equal footing with scripture. The early church had lots of traditions as well. But many weren’t in line with sound doctrine, so Paul and others wrote letters to correct them. Just because the church has done something for hundreds of years doesn’t mean it is right. A consistent theme of the Bible is that God does not permit his followers to worship other gods. Despite what many in the world believe, there aren’t “many paths to God.” There is one way: Through Jesus. 1 So the men of Kiriath Jearim came and took up the ark of the Lord. They took it to Abinadab’s house on the hill and consecrated Eleazar his son to guard the ark of the Lord. 2 It was a long time, twenty years in all, that the ark remained at Kiriath Jearim, and all the people of Israel mourned and sought after the Lord. 3 And Samuel said to the whole house of Israel, “If you are returning to the Lordwith all your hearts, then rid yourselves of the foreign gods and the Ashtoreths and commit yourselves to the Lord and serve him only, and he will deliver you out of the hand of the Philistines.” 4 So the Israelites put away their Baals and Ashtoreths, and served the Lord only. 5 Then Samuel said, “Assemble all Israel at Mizpah and I will intercede with the Lord for you.” 6 When they had assembled at Mizpah, they drew water and poured it out before the Lord. On that day they fasted and there they confessed, “We have sinned against the Lord.” And Samuel was leaderof Israel at Mizpah. 7 When the Philistines heard that Israel had assembled at Mizpah, the rulers of the Philistines came up to attack them. And when the Israelites heard of it, they were afraid because of the Philistines. 8 They said to Samuel, “Do not stop crying out to the Lord our God for us, that he may rescue us from the hand of the Philistines.” 9 Then Samuel took a suckling lamb and offered it up as a whole burnt offering to the Lord. He cried out to the Lord on Israel’s behalf, and the Lord answered him. 12 Then Samuel took a stone and set it up between Mizpah and Shen. He named it Ebenezer, saying, “Thus far has the Lord helped us.” 13 So the Philistines were subdued and did not invade Israelite territory again. Throughout Samuel’s lifetime, the hand of the Lord was against the Philistines. 14 The towns from Ekron to Gath that the Philistines had captured from Israel were restored to her, and Israel delivered the neighboring territory from the power of the Philistines. And there was peace between Israel and the Amorites. 15 Samuel continued as judge over Israel all the days of his life. 16 From year to year he went on a circuit from Bethel to Gilgal to Mizpah, judging Israel in all those places. 17 But he always went back to Ramah, where his home was, and there he also judged Israel. And he built an altar there to the Lord. 8 When Samuel grew old, he appointed his sons as judges for Israel. 2 The name of his firstborn was Joel and the name of his second was Abijah, and they served at Beersheba. 3 But his sons did not walk in his ways. They turned aside after dishonest gain and accepted bribes and perverted justice. Sadly, Samuel’s sons were like Eli’s – they didn’t follow God as their father had. The next section falls into the category of, “Be careful of what you ask for, because you just might get it. It is almost comical. Notice how Samuel gives them the strongest possible warnings against what they are about to do and they just ignore him. What portions stood out to you, and why? For my oldest daughter’s 16th birthday, we took a belated trip to Moody Gardens in Galveston, Texas for a Seal and Penguin Encounter (mostly penguins). She is a major penguin fan. We weren’t sure how interactive it would be, but it turned out to exceed our expectations. We got to spend plenty of time interacting with the penguins – feeding them, blowing bubbles for them to play with, etc. Some were friendlier than others. They were quite the individuals and had lots of personality. They were more talkative and less smelly than I expected. We got to help prepare their food, which including shoving vitamins into the gills of the fish. The Penguin Art was a big hit. The penguins are placed on a sponge soaked in non-toxic paint, then they hop or waddle over a few canvases. Then they switch colors and repeat. It is a good fundraiser for them and everyone has fun watching it. We got to do a one-on-one painting session. Our penguin was named Hendrix, after Jimi Hendrix. He is a rock-hopper penguin who truly acts like a rock star. One penguin named Bumble Bee tried to crawl up in my lap and did manage to crawl up in my daughter’s lap (see pictures). He likes humans more than other penguins. Another one named Brooks took a liking to me and kept coming over to stand right by me. Penguins are very solid. Petting them felt like I thought it would – smooth, put not like plastic. We got behind-the-scenes tours of the seal / sea lion exhibit (though they aren’t interactive like the penguins) and some other areas like shark-feeding and the Rain Forest exhibit as well. Our tour guide was a terrific young lady who loved her job and did it well. You may see her on the Discovery Channel one day. I’m not sure of the exact properties of Heaven, but I’m pretty sure that we’ll get to experience animals even more in-depth than we did in this adventure. My wife just finished teaching her last year of 4th grade (she’s going to be a librarian next year). One of the year end activities is for the kids to take the play money they earned (for good behavior and such) and use it to buy stuff from each other. The kids make crafts or bring in things from home. One girl brought some dill weed in. Her written slogan was that it “smells like pickles.” What made her merchandise a little unusual is that she sold the dried green herb in plastic baggies. The teachers are still laughing about it. The Philistines were about to find out who the real God was. They thought the ark they captured from the Israelites (containing the Ten Commandments) was a god that their god had defeated. But the real God’s omnipotence (having all power) was about to be displayed. 9 But after they had moved it, the Lord’s hand was against that city, throwing it into a great panic. He afflicted the people of the city, both young and old, with an outbreak of tumors. 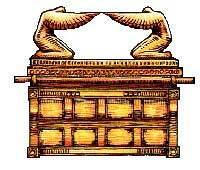 10 So they sent the ark of God to Ekron. As the ark of God was entering Ekron, the people of Ekron cried out, “They have brought the ark of the god of Israel around to us to kill us and our people.” 11 So they called together all the rulers of the Philistines and said, “Send the ark of the god of Israel away; let it go back to its own place, or it will kill us and our people.” For death had filled the city with panic; God’s hand was very heavy upon it. 12 Those who did not die were afflicted with tumors, and the outcry of the city went up to heaven. This event seems almost comical, but consider how many people want to “box up” God today and make him in their own image? Here we are, specks of dust on a little planet in a vast solar system and universe, and we think we’re in charge? Ha. They replied, “Five gold tumors and five gold rats, according to the number of the Philistine rulers, because the same plague has struck both you and your rulers. 5 Make models of the tumors and of the rats that are destroying the country, and pay honor to Israel’s god. Perhaps he will lift his hand from you and your gods and your land. 6 Why do you harden your hearts as the Egyptians and Pharaoh did? When he treated them harshly, did they not send the Israelites out so they could go on their way? It is highly unusual for cows to leave their nursing calves. God may have worked through the false priests of the Philistines to show them who the real God was. 17 These are the gold tumors the Philistines sent as a guilt offering to the Lord—one each for Ashdod, Gaza, Ashkelon, Gath and Ekron. 18 And the number of the gold rats was according to the number of Philistine towns belonging to the five rulers—the fortified towns with their country villages. The large rock, on which they set the ark of the Lord, is a witness to this day in the field of Joshua of Beth Shemesh. The Israelites were forbidden to look into the ark, so they were punished. That may seem harsh, but they had made an idol of it and deliberately disobeyed God.